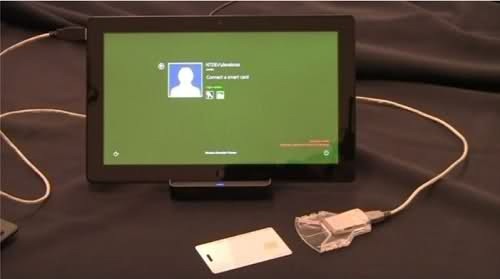 Windows 8 comes up with all new feature; Cross Computer Password Syncing in Windows 8. Lets discuss computer password syncing in Windows 8, its advantages and various security concerns related to it. The whole concept of cross computer password syncing in Windows 8 revolves around logging in using a Live ID which is a new feature introduced by Microsoft in Windows 8. You can log in to Windows 8 using a Live ID. Once logged in, you can create any number of passwords for various applications or websites. You can create long, strong and unique passwords without the fear of forgetting them. You can mark a set of computers as so-called “trusted PC’s”. Eventually, you can sync passwords between all the trusted PC’s. Also check out Password Management in Windows 8 reviewed by us. After this cross computer password syncing is done, you can log in to any of the trusted PC’s using his/her Windows Live ID. The only thing you are required to remember is the Live ID. Once he/she is logged in, passwords for all the applications/websites that you want to access, are automatically entered by the Windows, and you are not required to enter them again and again. Thus, the Live ID acts as the master password for all other passwords which are stored inside all the trusted PC’s. With all the advantages that this Windows 8 feature brings, there is a great security risk. If someone loses his/her Windows Live ID, he/she is essentially loosing all the passwords which are stored in various trusted PC’s.